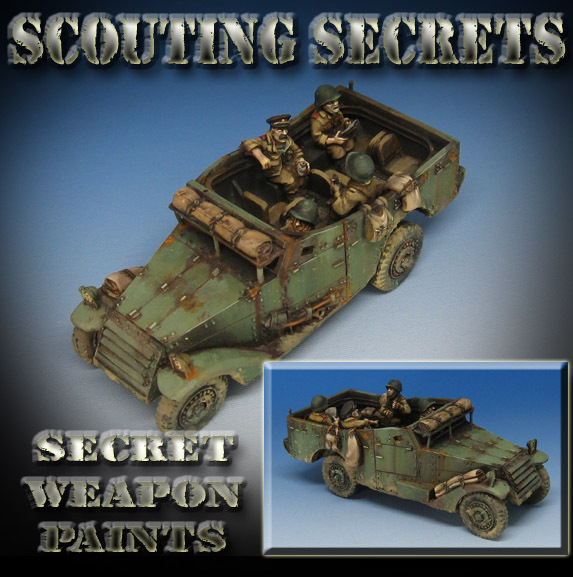 I have only painted a few U.S. made vehicles so far, but this Lend/Lease White Scout car was the most fun by far! I used Secret Weapon Miniatures weathering paints to do the shading after my usual "Primer Painting", including the actual weathering. Not only are the colors just what you want, they dry ultra matte, so it also matches the texture of rust and other oxidation effects.